There was a time when a Facelift was reserved for celebrities. But with today’s new technologies, along with our propensity to want to look as good on the outside as we feel on the inside, it has rendered the Facelift procedure a popular pursuit for people from all walks of life. No matter how much you take care of your skin with different products and avoid harmful elements like the sun, fine lines and facial skin stretching are in some cases unavoidable. Our faces are the first thing people see, and although laugh lines are a sign of a joyous life, more and more people are drawn to the appeal of a smooth, more youthful face. We offer advanced Facelift procedures because we know your needs are unique. If you are hoping for a younger looking face and live in Marin, Napa, or Sonoma County, a Facelift at Plastic Surgery Specialists in Greenbrae may be the perfect solution for you. 9.1 Cosmetic Surgery as Back to School Prep? A Facelift, known clinically as Rhytidectomy, is a surgical procedure designed to improve the look of your face and neck by lifting the skin and repositioning the underlying tissue and muscle that support it. Facelift procedures can help to reverse the signs of aging by eliminating creases below the eyelid, eliminating sagging around the eyes and midface, and reducing creasing along the nose and mouth. Facial Plastic Surgery also addresses the loss of muscle tone in the lower face and the loose/excess skin under the chin and jaw, which can give the illusion of a double chin. Facelift procedures can include work on the upper face, the lower face, or both. Patients can also undergo additional procedures at the same time such as a Brow Lift, cheek implants, or even body and breast work. Because there are many variations within these options, you will want to consult the aesthetic plastic surgeons at PSS to determine what is best for you. Our experienced team of surgeons combine an aesthetic perspective, the ability to listen closely to your needs, and the skills to achieve those desires. This combination of talent is a hallmark of a world-class plastic surgery clinic, located in Marin County, CA. The best candidates for a Facelift are healthy men and women who experience moderate to severe skin laxity along the face, jaw and/or neck, and prominent skin folding of the skin on the face. Those who are experiencing milder skin laxity and skin folding issues may be candidates for another type of Facelift procedure performed by Plastic Surgery Specialists, the QuickLift™. Deep creases underneath the eyes or around the mouth can act as signs of aging. 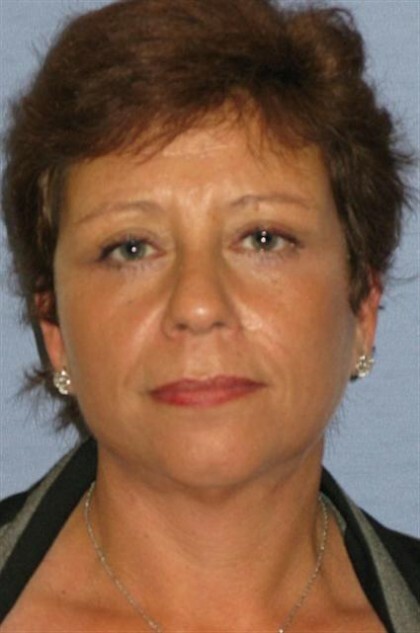 These patients may also have the appearance of a double chin due to loose skin. Facelift surgery is a very individualized procedure and it should be done for self-improvement only. To see if you are an ideal candidate for a Facelift, Schedule a consultation to have a private, one-on-one conversation with one of our board-certified surgeons. The length of your procedure will depend on the extent of your specific case. Undergoing additional procedures at the same time as your Facelift procedure is also a factor in length of time. Today, all of these procedures are usually performed as an outpatient. Over the years there have been many iterations of the basic facelift surgery. Initial procedures focused on the removal of excess skin and, although still a part of the modern Facelift, the focus now is on resuspension of the superficial muscle layers of the face with its attached subcutaneous fat. The goal of all modern procedures is to create greater lower face definition and upper facial fullness by repositioning the soft tissue layers to its original position. The Traditional Facelift involves a thin incision made from the temples, down following the ears, and up behind the earlobes. For some that need the neck to be lifted as well, an incision can also be made along the neckline to reduce the appearance of jowls. A Facelift can include fat reshaping, muscle lifting, skin redraping, and excess skin removal. This procedure will give patients a youthful, vibrant appearance with tightened skin and diminished wrinkles. The QuickLift™ is a Facelift procedure that can be individualized to the needs of an individual patient, but in many cases, this procedure can be done quicker with a faster recovery time and still give significant long term benefit. Your surgeon will discuss which option will be best for you. The QuickLift involves tightening of the skin on the face and neck in a minimally invasive way. With a special suturing technique, small incisions are made along the sideburn and behind the ear, keeping any scarring minimally visible. 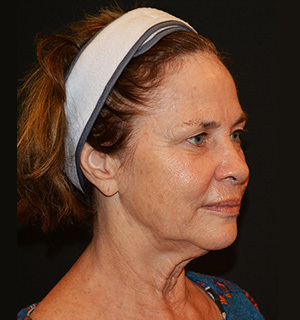 A QuickLift™ will not produce the same exact results as a traditional Facelift. Facial implants for the cheeks or chin can be inserted at the same time as this procedure. 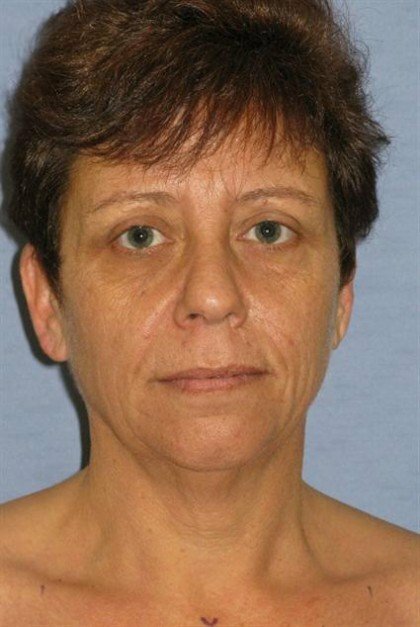 Some individuals develop neck laxity without significant loss of upper face fullness, and for these individuals the procedure can be limited to the neck or lower face only. This may allow shorter incisions and a faster recovery. This procedure involves the removal of fat as necessary and tightening excess skin around the jawline and neck. Patients who find they need a Neck Lift may have experienced significant weight loss that caused hanging skin. Any or all of the following may be performed in addition to or instead of Facelift procedures. That is why the procedure is customized for every individual. Additional procedures may add to the cost or recovery time but the overall result will be markedly enhanced. 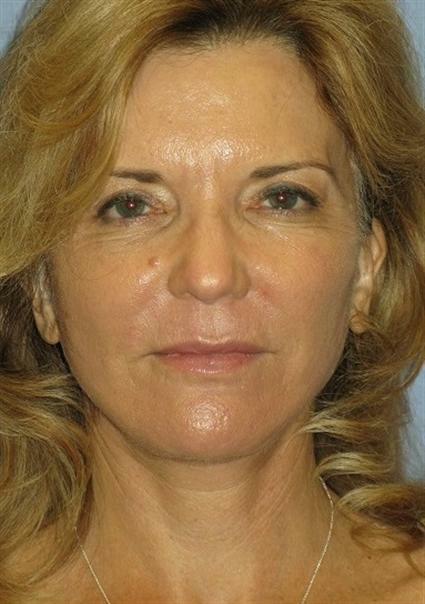 If a patient does not need a whole Facelift, eyelid surgery can be an ideal alternative. This procedure focuses on tightening or removing the skin of either the upper, lower, or both eyelids. Skin may be excised and fat contoured to give a more youthful appearance, getting rid of tired-looking eyes. Eyelid surgery only focuses on the skin around the eyes. Also known as a Forehead Lift, Brow Lift surgery raises the eyebrows to a more youthful position. This in turn lifts drooping upper eyelids to give your eyes a wider, more awake look. Wrinkles between the brows or on the forehead can be softened with a Brow Lift. This is a minimally invasive procedure that can reverse inevitable signs of aging for numerous years. In some cases, it is a low brow position rather than excess lid skin that contributes to a tired appearance. In some cases this may be corrected with Botox, but for some Brow Lift is a better option. If you are looking to get rid of facial wrinkles but don’t want to undergo a surgical procedure, Botox is a great alternative. Botox is a minimally invasive FDA approved treatment that blocks the nerves connected to the facial muscles that contract from making expressions. Botox will diminish the look of wrinkles on the forehead, between the eyebrows, and around the mouth. Botox results are not permanent; you will need additional injections every several months for continuous results. As we age we lose fat from certain areas of the face. With today’s techniques, your own fat can be transplanted from one area of your body to another (in this case the face) with the ability to enhance contour. Our surgeons may in some cases advise the use of facial implants to the cheeks or chin to optimize bony contour. It makes little sense to undergo surgery to create a more youthful contour of face and neck and leave an aged or pigmented complexion behind. Laser techniques can remove brown or red spots, fine lines, or enlarged pores. Laser Skin Resurfacing at Plastic Surgery Specialists uses state-of-the-art laser treatment to rejuvenate facial skin. This laser has 3 benefits in 1, offering ProFractional, Broad Band Light, and Erbium Micro Laser Peel options. The laser evens skin tone, age spots, texture, broken capillaries, and even wrinkles. These patients will ideally have a lighter skin tone who want to address skin irregularities. Typically we will recommend an ongoing skin care regime of medical grade products to maintain the results of the laser. Keeping your face youthful and beautiful goes beyond visiting us for a treatment. You’ve already started the learning process. Now, take the next step by checking out our e-learning guide that breaks down the science of aging and the ways you can combat it. At the time of your private consultation, you will speak with one of our board-certified plastic surgeons about the areas of your face you wish to enhance. The doctor will then perform a thorough examination, and with your aesthetic desires in mind, they will determine which procedure will benefit you the most. It is best to bring photos of yourself when you were younger so your surgeon will have accurate references for optimal results. You will be given a list of preliminary steps to take and tasks to complete prior to your surgery, as well as an explanation of how to care for yourself after your procedure. Any questions or concerns regarding your Facelift procedure process will gladly be answered at this time. All pricing inquiries will also be addressed. Each patient will have a personalized recovery plan. But typically after a Facelift, it will take about three weeks to return to your normal activities. You will begin to see the results as soon as the swelling and bruising go down. Elevating the face and using ice packs will help reduce swelling. Avoiding anti-inflammatory medications for a specific amount of time determined by your doctor will help aid against bruising as well. You will be given a follow-up appointment date so your surgeon can assess your healing progress. If you are careful to avoid the sun and other skin-damaging elements, you will be able to enjoy the results of your Facelift Cosmetic Surgery for at least ten years. For more information on Facelift, please visit our 3D Education Center. 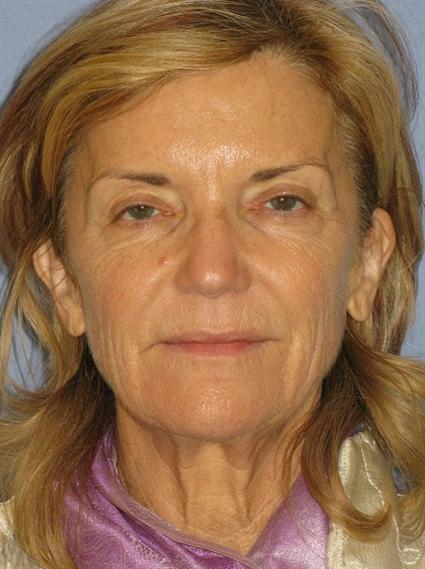 Visitors who searched for Facelift may also be interested in Quicklift or other facial surgeries. The price of a Facelift procedure will depend on the extent of your specific procedure. The cost will differ if you receive additional procedures along with your Facelift such as additional face or body procedures. Speak with one of our friendly staff here at Plastic Surgery Specialist to get an accurate quote for your individual case. Our patients come from cities such as Greenbrae, Larkspur, Corte Madera, Mill Valley, Santa Rosa, and San Rafael for facelift surgery. Please Schedule a consultation today with Plastic Surgery Specialists. Contact us at (415) 886-0777. Cosmetic Surgery as Back to School Prep?